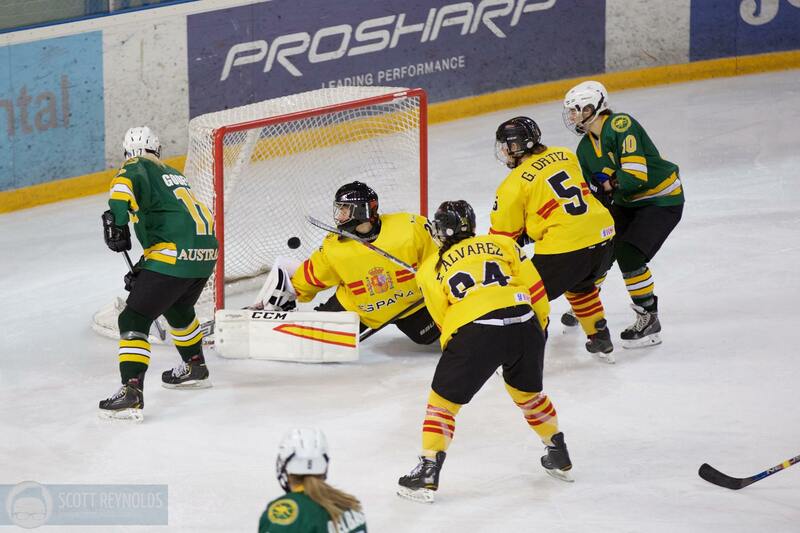 Australia has yet another gold medal-winning team, this time the national women’s ice hockey team in the Division II world championships just concluded in Spain. With a four wins/one loss (in overtime) record, the Aussie women outpaced Spain, Iceland, Mexico, New Zealand and Turkey, scoring 32 goals in their five games, and conceding only six — the fewest of any team in the championships. The team landed in Prague in late February for their training camp at HC Sparta Prague under newly appointed head coach Lindsay McAlpine who joined them​ from MacEwan University in Edmonton in her homeland of Canada. “Lindsay did a fantastic job with the help of assistant coaches Stu Philps and Jo Frankenberger,” Padjen said. After a shaky start resulting in an overtime loss to Mexico 2-1, the Australians went on to thump Turkey 12-0 and New Zealand 12-1; then defeated Spain 4-1, and finally Iceland 3-2. “The IIHF changed the venue hosting the world championships from Turkey to (Jaca) Spain” Padjen said. “We had to suddenly mobilise a team of 19 players from Australia, and those playing overseas, within six weeks, go through training camp and then travel to the Pyrenees before the series to acclimatise to the near-1000 m elevation. “I want to pay tribute not only to the team, the coaches and the supporters, but also to Ice Hockey Australia which not only came through with much-needed funding to help offset the high costs the players endure, but in addition has committed to increased funding next year when we move up to face much tougher competition against Croatia, Great Britain, Poland and Korea, among others,” he added. The top Australian player of the series — Alivia del Basso — was also named the best forward player among all the nations participating in the tournament. “This gold medal win, the day before International Women’s Day, just proves there are no limits to what women can do in sport,” said Del Basso, of the Australian Women Ice Hockey League’s (AWIHL) champions, the Melbourne Ice.